Our next round of group classes will begin September 25th and 27th, 2018. We’ll be offering Puppy Kindergarten, Basic Manners, Intro to Scent Work, and Reactive Rover classes. 6 week courses. $120 for Puppy and Basic. $150.00 for Scent Work. $200 for Reactive Rover. Puppy Kindergarten and Basic Manners will be taught by Aditi Czarnomski, CPDT-KSA. Scent Work and Reactive Rover will be taught by Kera Wilhelmsen, CPDT-KA. Puppy Kindergarten from 5:30-6:15PM Register here, spots are limited to 5. Basic Manners from 6:30-7:30PM Register here, spot are limited to 5. Intro in Scent Work from 6:00-7:00PM Register here, spots are limited to 4. Reactive Rover from 7:30-8:30PM Register here, spots are limited to 3. Puppy Kindergarten: available for puppies between the ages of 8 and 20 weeks old. Puppies must have their first set of vaccinations at least one week prior to the start date of class and stay current on vaccinations through the course. Each class meets weekly 6 weeks and each session is 45-60 minutes in length. During the course, people learn how to read their puppy’s body language, and learn about giving their puppies choice. We empower puppies and build their confidence, while at the same time give them structure and guidelines. We teach people how to teach their puppies basic cues like: Sit, Down, Come, Stay, and Touch (hand targeting). People also learn how to appropriately deal with puppy issues like chewing, jumping and barking. The methods used in class are non-force based and encourage puppies to be thinking puppies in a positive manner. Each week puppies are introduced to new sights, sounds, textures and smells to help them develop into well-rounded dogs. We also teach puppies how to appropriately greet other puppies in class. Basic Manners Class: Available for dogs that are 5 months of age and older. This is a 6 week course, meeting once weekly for 45-60 minutes. 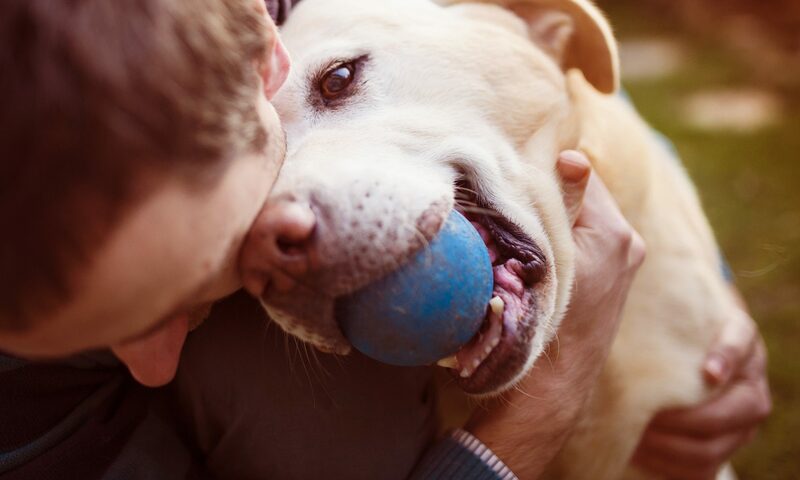 This class focuses on teaching dogs foundation behaviors through non-forced based methods. Dog are encouraged to think outside the box and earn rewards for doing so. We use shaping and luring, and rewards to get desired behaviors. Dogs learn to listen under distractions and through it all, build a better relationship with their people. People learn how to handle their dogs in a positive way and develop a bond with their dogs based on trust rather than fear. Intro to Scent Work: Most dog’s strongest sense is their olfactory sense; scent! This class introduces you and your dog into the fun world of nose work, where your dog learns to find certain smells and get rewarded for it. It’s a great way to tire dogs out, as this is mental challenge for them. It’s also a wonderful way to build confidence in our fearful and shy dogs, and calm our reactive dogs down as well (this class is not designed for dog-aggressive dogs). Learn how to read your dog’s body language and pick up on their subtle cues that they’re on to a scent. You’ll also learn about how scent is carried in the air, and how your dog funnels in those smells and tracks it to the source. We keep this class size small to allow dogs the opportunity to do several “finds” during each class. Dogs are worked individually, so it’s a great way to learn from watching your classmates as well! 6 week course, 1 hour each session. $150. Contact us to Register or be added to a waiting list. Reactive Rover Class: Does your dog get overly excited or reactive when s/he sees other people or dogs? Do you experience your dog not listening to you, but instead lunging, barking, growling, or leaping towards triggers? Would you like your dog to listen better to you under distractions? If you answered yes to any of these, then Reactive Rover class might be the class for you and your dog. This class is structured to help people and dogs learn skills to deal with distractions and triggers. Class size is kept small so that each individual team receives the appropriate care they need. This class is not for dogs that have presented aggression towards people or other dogs; private in-home sessions are highly recommended for those cases. Classes once/week for 1 hour. Class cost is $200. Contact us to register or be put on a waiting list.